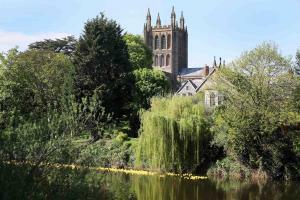 Rotary City of Hereford - welcome! Please scroll/swipe down through this page to find out more about us, in addition to the pages linked in the menu, top-left. Alan's hairstyle (and ear-rings) attract the cash! 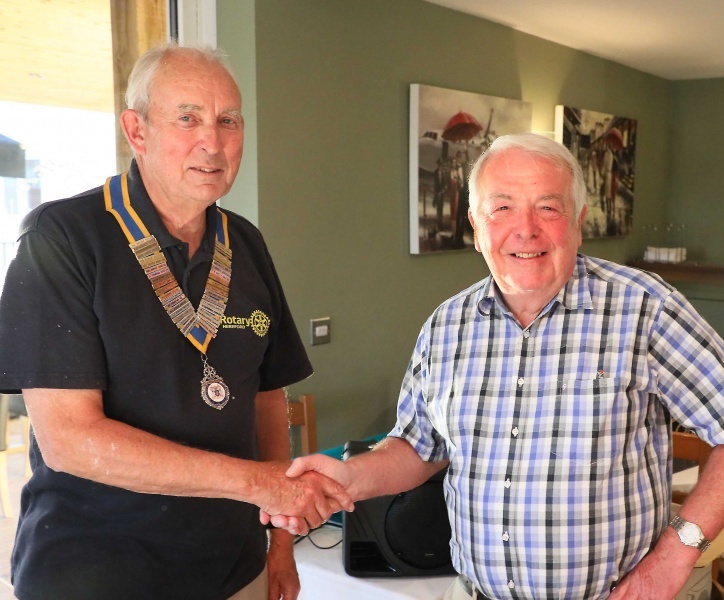 Ray handed a certificate to past president Derek Foxton, whose skill as a photographer has chronicled club activities over the years. Derek was named as a Paul Harris Fellow in view of his contribution to Rotary.